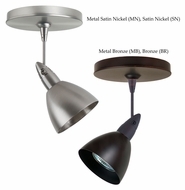 Ceiling spot fixtures are manufactured with your art and collectibles in mind. 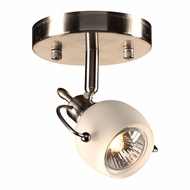 These directional spot ceiling light fixtures are designed to illuminate your paintings, sculptures, plants, or furniture. 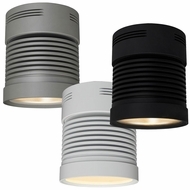 They can be configured in either a track light or single canopy or wall plate. 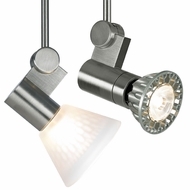 More function over form, they get the job done, and are ideal in modern dwellings. 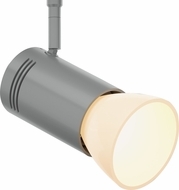 While there certainly are decor designs that call for more ambient light like floor lamps and wall sconces, ceiling spot light fixtures give you a much better range of light and allow you to brighten up an entire room with just a few light sources. 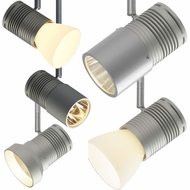 AffordableLamps.com features many famous and reputable flush mount spot light manufacturers, including (but not limited to) Tech Lighting, CSL Lighting, and Bruck Lighting. 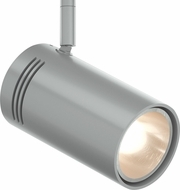 These companies understand the true nature of the ceiling spot light�something minimalist, industrial, a celebration of pure function triumphing over mere form. 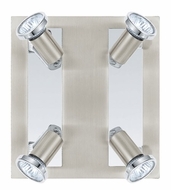 While certainly you can add a touch of sophistication to your home with traditional, rustic, or even crystal or alabaster ceiling lights, flush mount spot lights have a futuristic and space-age vibe about them that really works for many modern home furnishings. For some interior spaces, too much ornamentation can be distracting so chandeliers and elaborate pendants may look out of place. 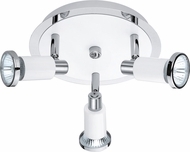 One of the benefits of ceiling mount spot lighting is that it can be installed in practically any room of the house, and works especially well in living rooms, kitchens, or offices where you might want more control of the light source for task or display purposes. Flush mount spot lights also have a pretty wonderful reputation for being environmentally friendly too. The green lighting movement has really taken hold in many design circles and rightfully so. Sustainable practices in commercial and residential lighting saves an enormous amount of energy (and money!). 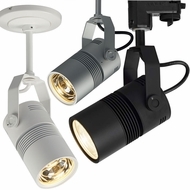 So if you�re interested in helping out nature and conserving electricity, as well as your wallet, consider making the extra investment and installing fluorescent or LED lighting models of ceiling mount spot lights. 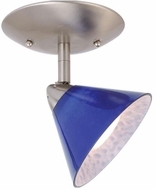 The wave of the future is here, and no where is it more obvious than in the plethora of interesting and creative, energy saving ceiling spot lights.